Healing At the Speed of Light! apy (LLLT), also known as phioto-biomodulation, 'cold' laser or soft laser, is a form of therapy utilizing the precise and accurate, safe and painless application of helium/neon, red and near-infrared concentrated beams of laser light energy. These beams are focused over acupuncture points, injuries or wounds to help enhance and accelerate the body's innate ability to heal itself by improving soft tissue healing, reducing swelling and inflammation, relieving both acute and chronic pain and ultimately improving one's health. LLLT uses 'cold' (sub-thermal) laser light to direct bio-stimulative photon energy to penetrate through the skin to be absorbed into the body's cells, without injuring or damaging them in any way. Laser therapy is highly effective, with a purported remedy rate of approximately 95%, is non-invasive and non-toxic, promotes the accelerated healing of damaged tissue and has no reported side effects. 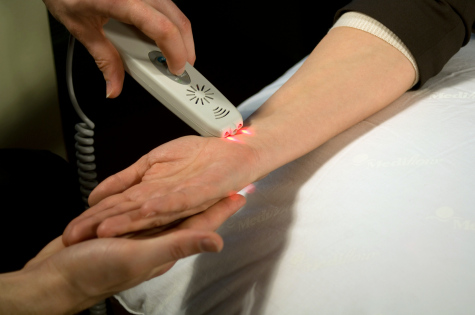 How Does Low-Level Laser Therapy Work? Low-level lasers supply energy to the body in the form of non-thermal photons of light (photo-biomodulation) allowing the body to effect it's own repairs. Light is transmitted through the skin's layers (the dermis, epidermis and the subcutaneous tissue or fat tissue under the skin) at all wavelengths in the visible range. However, light waves in the near infrared ranges penetrate the deepest of all light waves in the visible spectrum. When low-level laser light waves penetrate deeply into the skin, they optimize the immune responses of our blood. 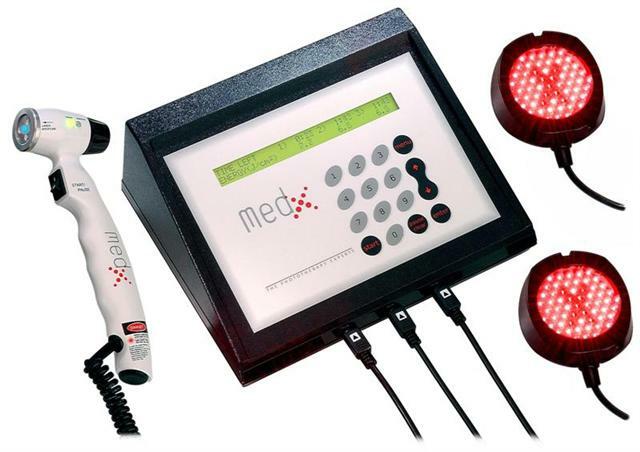 The bio-stimulating effect of laser therapy is in its anti-inflammatory, analgesic and anti-edematous effect on tissues. It is a scientific fact that light transmitted to the blood in this way has positive effects throughout the whole body with an absolute increase in micro-circulation, higher rates of ATP, RNA and DNA synthesis, and supplying vital oxygen, nutrition and energy to every cell to facilitate tissue healing. offers safe and effective treatment for a wide variety of conditions. The energy range of low-level laser light lies between 1 and 500 mW (milliwatts), while for surgical lasers the energy range lies between 3000 and 10000 mW. Statistically, the number of treatments required and the length of treatment times varies with each patient with regard to the etiology of the individual problem, and, if other therapeutic modalities are utilized in conjunction with laser photo-biomodulation. Just as every medical condition varies, so will the individual response to therapy. Low-level laser therapy does not require constant ongoing treatments, as is often required with other traditional physiotherapeutic modalities. The onset of pain relief as a result of treatment also varies, depending on each patient's response to LLLT. STIMULATED NERVE FUNCTION- Slow recovery of nerve function in damaged tissue can result in "dead" limbs or numb areas. 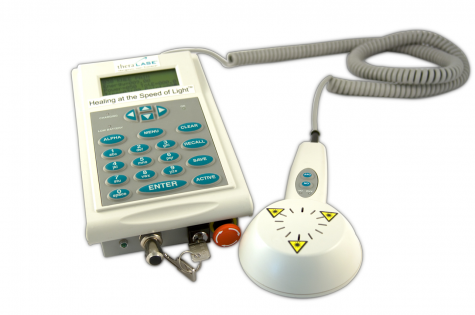 Laser light speeds the process of peripheral nerve cell reconnection to bring the numb areas back to life. Additionally, LLLT helps to relieve symptoms and pain.